Will holds down the show; John was out golfing, celebrating the shop’s success! 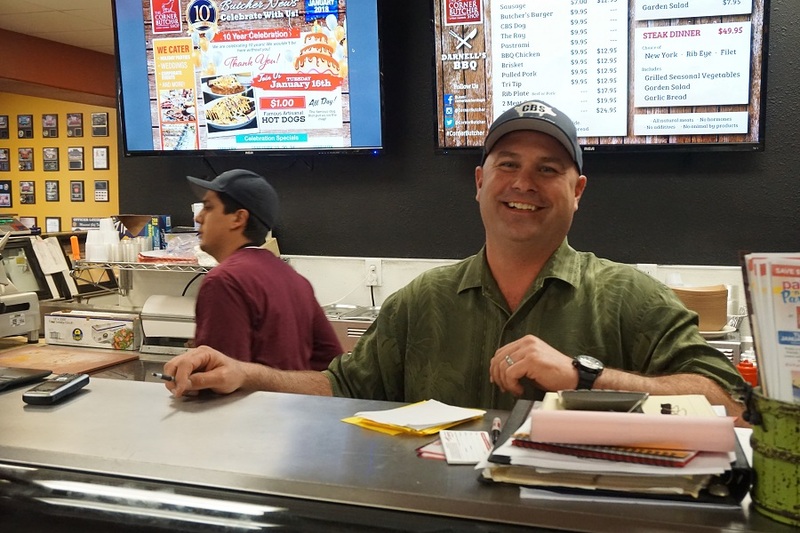 LA VERNE, California, January 18, 2018 — Ever since a couple of brothers, John and Will Fuelling from Western Michigan, opened the Corner Butcher Shop 10 years ago, things have never quite been the same in La Verne. They started rolling out top-of-the-line cuts of beef, poultry, and fish that until they came to town just weren’t widely available. 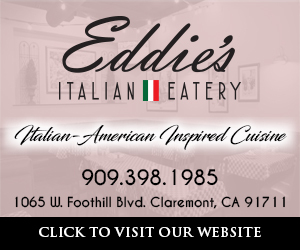 Baby back ribs, filet mignon, free range chickens and turkeys, osso bucco, USDA prime ribeyes. More than likely, you had to drive to the west side to dazzle your dinner party guests with that kind of quality and variety. At first, the Fuellings and La Verne were a bit of an odd pairing — like mistakenly serving chardonnay with roast beef instead of a cab or Merlot. For a town raised on Stater Bros. cuts of beef, there was a learning curve for the locals. While John and Will knew their cuts of beef, they were a little out of their league when it came to choosing a place to open. To tell the truth, a location scout with cataracts could have probably found more enticing quarters. They opened in what was then the Marshalls center, which closed about a year later, leaving the center without an anchor and the Fuellings with little auto or foot traffic, not to mention business. And the year was 2008, which kicked off the Great Recession. “We opened when the economy was in the tank,” Will said, grimacing slightly. Still, brothers John and Will persisted. Like other famous Michiganders (Magic Johnson, Gilda Radner and Tom Selleck, to name a few) who made it in Los Angeles, they were bent on success. 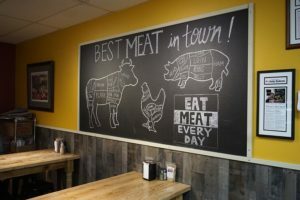 At first, they started offering deli sandwiches and then somebody got the meathead idea that they should differentiate themselves by making their own sausages and barbecuing their own meats. The decision was a winner. Now you have to get your orders in early if you fancy an evening filled with their juicy tri tip, brisket and pulled pork that has been prepped and cooked for 12 to 18 hours for that fabulous fall-off-the-bone taste. Like their all-natural meats (no added hormones, steroids, flavor enhancers or fake colorants), the Fuellings are the real deal. What you see is what you get. Like their authentic farm tables, they don’t come with a lot of varnish. That said, older brother John has lately been going a little Hollywood or a lotta You Tube. He has taken to the popular media channel to post a series of short videos that kind of remind you of how sausage is made. They contain a little bit of everything, but the important point is like their homemade franks, they are flavored with a lot of spice and humor. There are now Corner Butcher Shop videos posted for every occasion — Christmas, Valentine’s Day, Easter, Thanksgiving. John will even make up a holiday. Don’t put it past him. John’s new pitchman role is right up there with Billy Mays or George Foreman. His frequent You Tube sightings might even launch a second career. Stranger things have happened in La La Land. Harrison Ford was a carpenter and Liam Neeson was a forklift driver for Guinness before they hit it big. But for now, John and Will seem quite content running the Corner Butcher Shop. The shop is finally getting its due. Almost 10 years later, there will be a big institution (Pomona Valley Hospital Medical Center) moving into their center, but you know what, ever since Marshalls pulled up stakes, the Corner Butcher Shop has been the true anchor at the northeast corner of Fruit and Foothill. 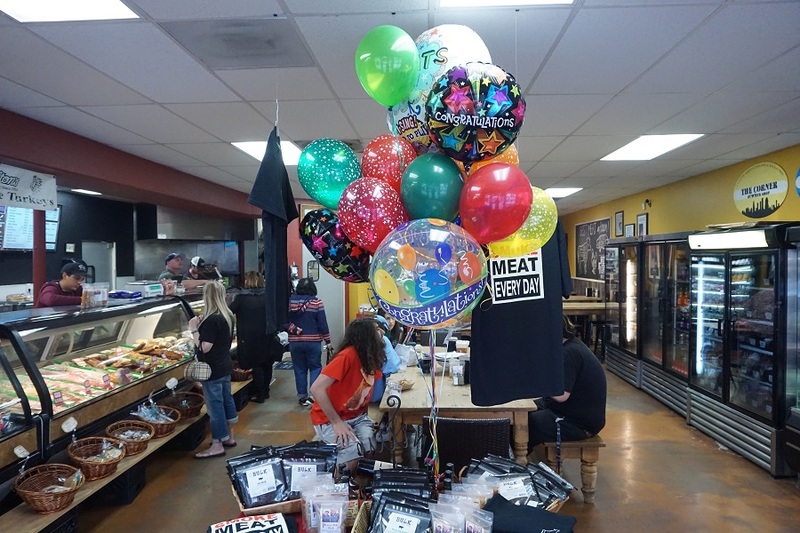 If you’re hungry and like your food fresh, and given it’s their 10th birthday, make plans to meat up at the Corner Butcher Shop! Competitors have been trying to pop the Corner Butcher Shop’s balloon for some time, but they haven’t found the formula yet. To meat up with a great realtor from La Verne, call Colleen Bennett, Sotheby’s International Realty (DRE#01013172)at 626.344.0907. She has all the fresh data on the La Verne market! Also follow her real estate articles in The Real Dirtt, which appear on LaVerneOnline.com.